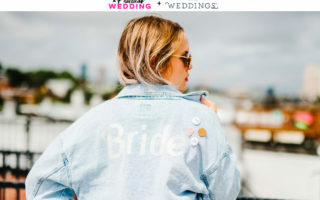 Oh hey did you just realize you want a wedding checklist? Because after the initial “HEY HEY WE’RE GETTING ENGAGED” period, there’s generally a pretty rough comedown when you realize that oh, now you have to plan that wedding. Apparently, Pinterest/David Tutera isn’t going to swoop in and plan it for you, and also it turns out that planning a big event while holding down a full-time job may not actually be in your wheelhouse. But alas, the day comes when you have to step away from the “my crazy amazing wedding ideas” Pinterest board and figure out what you’re actually doing. And because we know that the wedding industry isn’t always the best at helping you actually plan a wedding (particularly if you don’t want to spend $100,000, and pay for a monthly facial for the six months leading up to your wedding), we’ve partnered with the online wedding registry and free wedding planning app Zola to provide you with a foolproof step-by-step wedding planning checklist. You know, one with some measure of sanity and helpfulness. BUT. It’s quite possible that what makes you feel calm is a nice long checklist, with lots of things to check off, and a specific order for doing things, just to make sure you don’t miss anything. (Funny story about how I forgot that I had to pay for postage on our wedding invitations, hahahaha sob.) So finally we’ve created a free printable full wedding checklist for you, with all the things you (might) need. First, get a red pen and cross out everything on the wedding checklist you don’t care about. Seriously. Go crazy. If you’re getting married in your backyard, cross out all the stuff about finding a venue. 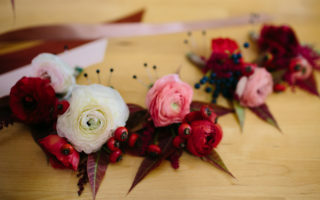 If you really don’t care about flowers, cross out all the stuff about finding a florist. At the end of the day, all you need is the man, the preacher, and the dress. Or the lady, the pantsuit, and the justice of the peace. But beyond that, it’s all extra, so cross out what you don’t need. Then feel free to reorder things. We’re wedding experts, but we’re not experts on your wedding, so if you want to do things in a different order, girlfriend, you do you. (Though seriously, don’t get your dress till you know where you’re getting married. Many a giant ball gown has been returned when the drive-through chapel in Vegas was picked as the venue…) So start here, and make it you. At every point along the way, we’ve linked to more detailed articles to give you all the guidance you need. (Oh right, and the APW Planner has a lot more detail on this whole planning thing, so probably pick that up.) And if you want to print it out, well lookit! We made you a free printable wedding checklist with boxes you can check off and everything. Put in your email at the bottom and it’s all yours. And if you want to plan on the go, our printable checklist integrates perfectly with the free, customizable checklist on the Zola Weddings app, so you can access and update your list anytime and anywhere. Add the tasks you want, delete ones you don’t need, then Zola will help remind you to get it done. (They will even personalize your checklist to your religion or culture and then autofill your to-do list accordingly.) Combine that information with ours, and you’ll have everything you need to cross tasks off your list in style. Finalize your guest list before sending save the dates (and read up on everything you need to know about guest lists). Hot tip: Our spreadsheets can help you do this. Begin thinking about your officiant: Who will it be? Create a spreadsheet for RSVPs and guest list addresses. If you’ve signed up with Zola above, you can gather addresses multiple ways (including by uploading our spreadsheet directly) and manage your list from your desktop or straight from your phone. Write thank you notes for your shower gifts. If you registered with Zola, you can easily export a list of who got you what and when, so then all you have to do is put pen to paper. And then do the same again with wedding gifts down the road. Check in with guests who haven’t RSVP. If you’ve got your guest list loaded up into the Zola App, their guest list manager lets you track RSVPs in real-time and communicate directly with your guests to see who’s coming. Hand over all of your planning docs to your wedding stage manager (including a copy of the vendor delivery schedule, set up times, and phone numbers) or DOC and take a step back to enjoy this thing! Confirm your honeymoon transportation, airport drop-off, etc. Pretty amazing list, huh? We even made you a snazzy FREE printable Wedding Checklist version— Click here to download. This post was sponsored by Zola. With Zola, you can build the registry you actually want; add items from a selection of over 50,000 gifts (plus add from any store) or if physical objects aren’t your style, register for experiences and subscriptions—heck, with Zola you can even register for your blowout. And with Zola Weddings, now you can manage your wedding checklist and your guest list too. Other perks include group gifting, shipping control (aka you tell your registry when you want to receive stuff), and the lowest credit card processing fee in the industry for cash gifts, if you choose to add a cash registry option. Click here for a full list of Zola’s features and sign up for Zola today!